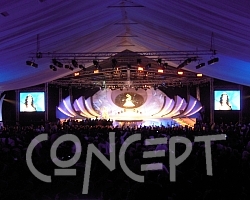 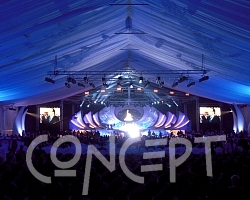 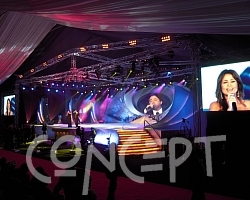 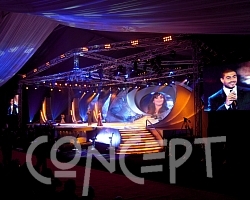 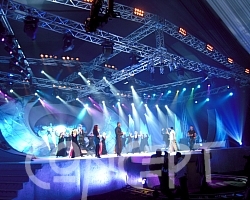 14th Arab Media Carnival at the Media City with more than 200 moving heads, roof truss system with a span of 24m, 150 sq. 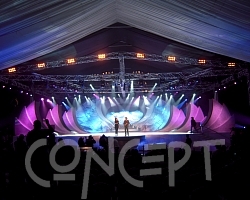 m LED screens with different shapes(Oval, curved, rectangular). 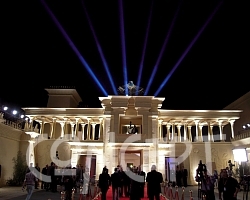 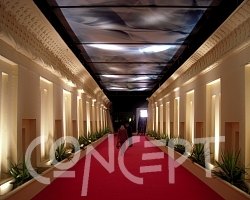 People were received with viewing our space canons at the entrance in the pharaonic temple in the media city and than went on with the carnival events.